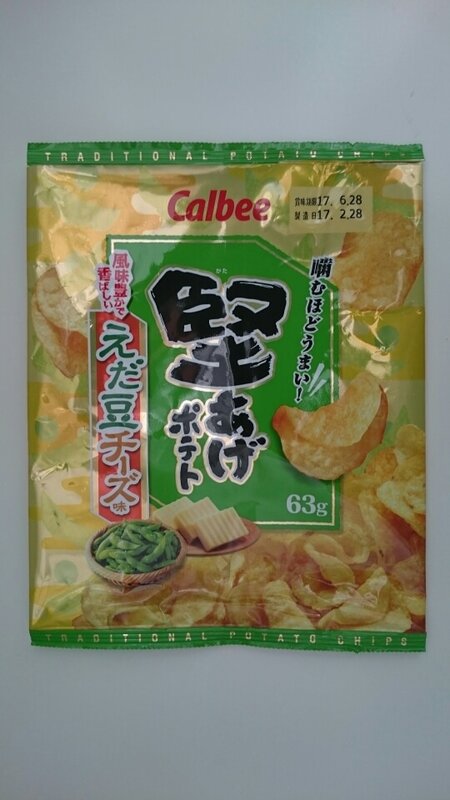 Calbee at the top with a square box below with some Japanese writing that we apologetically and humbly have to admit to not being able to read and below is a pile of Chips on a backdrop of jazzy graphics. The central box is the theme used for the Kata-Age range. There is also a hint of the flavor in the ingredients graphic at the bottom.